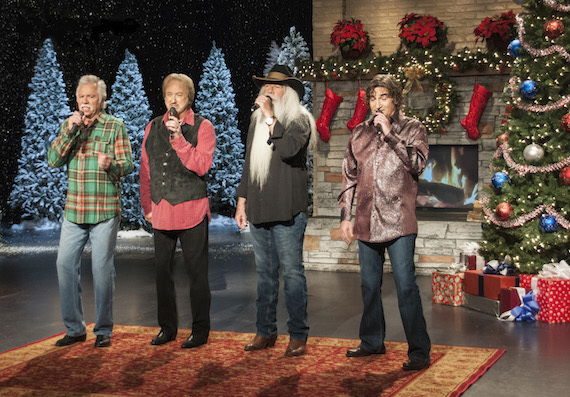 The Oak Ridge Boys will embark on their 26th annual Christmas Night Out Tour on Nov. 17 in Branson, Missouri. With more than two dozen stops, the tour will conclude on Dec. 23 at the Country Music Hall of Fame and Museum in Nashville. “Folks can expect to hear old favorites like ‘White Christmas’ and ‘Jingle Bells’ mixed with some very poignant newer songs like ‘Getting Ready for A Baby’ and ‘Mary Did You Know.’ A highlight of the evening is the much-loved ‘rocking chair’ segment where each Boy rocks by the fireplace and shares personal thoughts about Christmas. So we hope you’ll come out and see us… and Merry Christmas!” Bonsall added. The group will be formally inducted into the Country Music Hall of Fame this month.